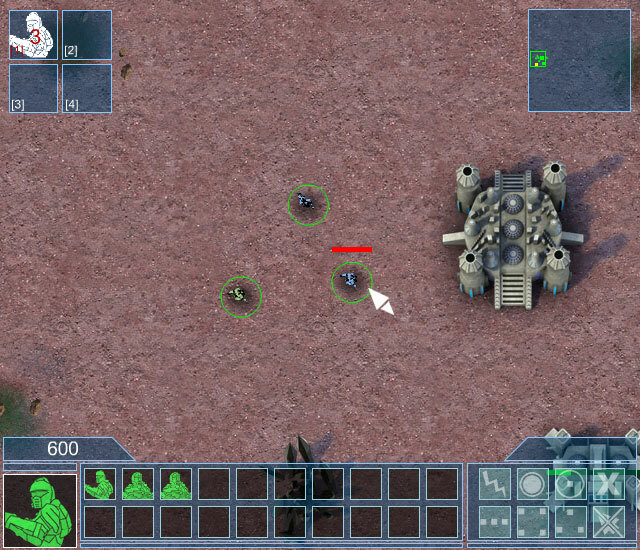 Need some help with Darkbase RTS? Check out these cheats, hints, tips and walkthroughs. New info is added regularly. 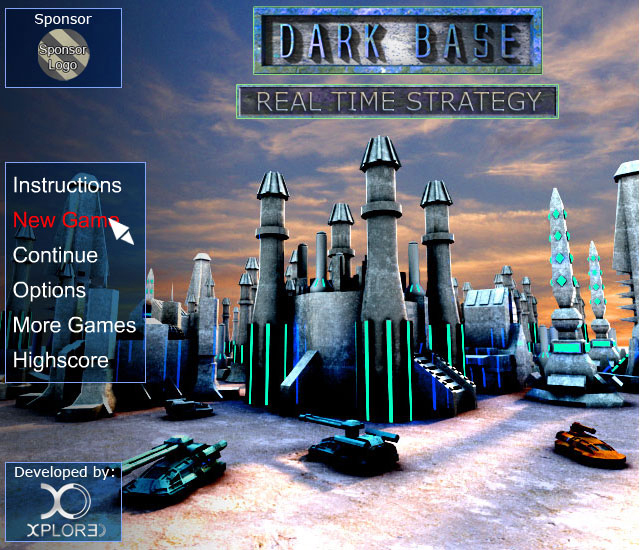 Play Darkbase RTS now! Find more Crazy Monkey Game Hints and Tips. 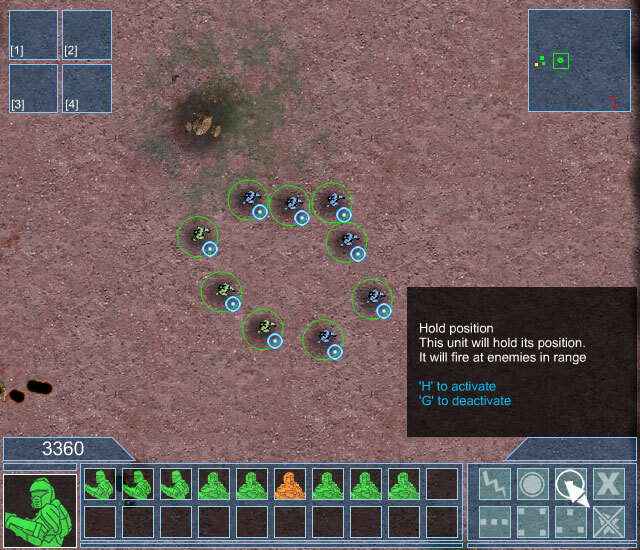 "Dark base RTS" is a Real Time Strategy game. 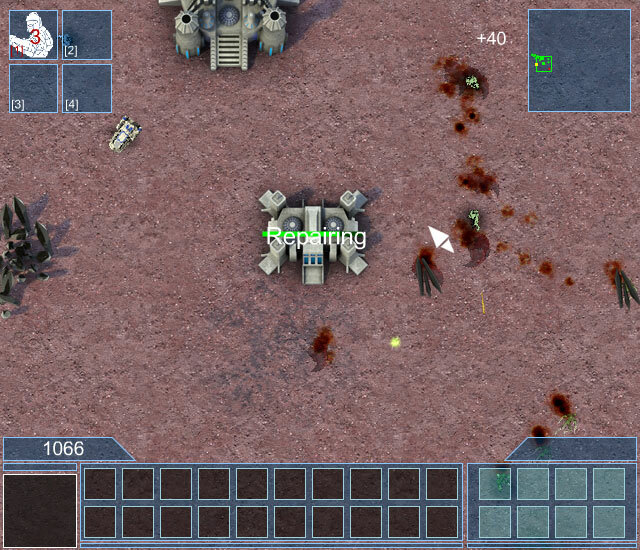 The story is a spinoff to the Xplored game "Dark base". 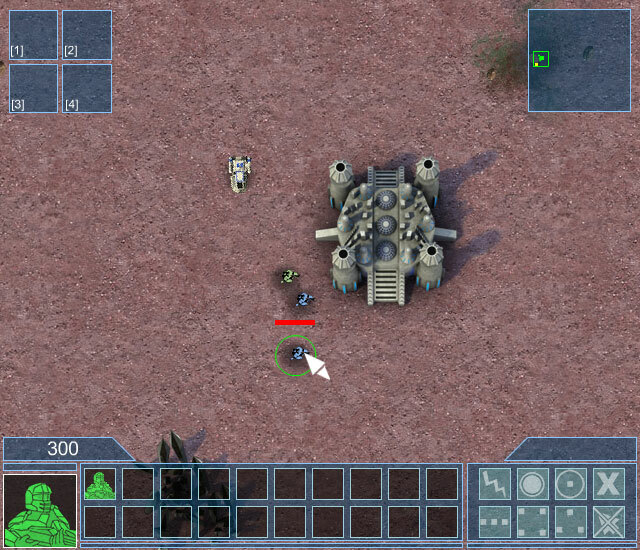 You will lead your army in battle against the alien menace. 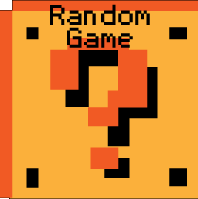 Continue: to resume the game you were playing before opening the Main Menu. 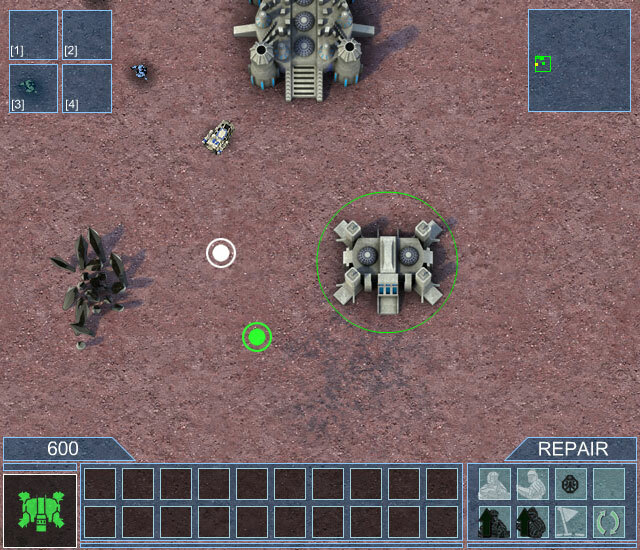 "Dark Base RTS" in fact automatically saves the game at the end of each battle. In case you lose a battle (Game Over) or you close the game/browser, just press 'Continue' on the Main Menu to continue from the beginning of the level you were on. 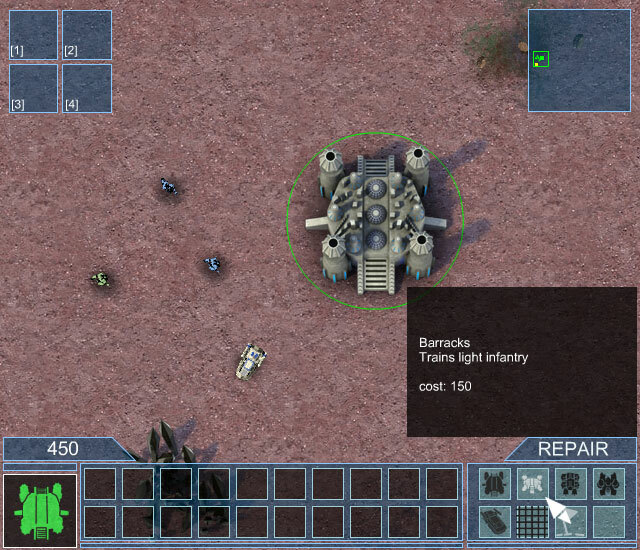 "Dark Base RTS" automatically saves the game at the end of each battle that is won, just after the battle score is displayed. Before each battle you will receive a briefing informing you on the progress of the story and explaining what both armies are going to get as new strategic tools for the next engagement. Read carefully if you want to know which new forces you'll have at your command for the next battle! Between each battle, you will also read the chat transcript of two characters that find themselves on opposite fronts of the war. This story was written by our friend Rick Gush, the Westwood studios designer. Win all 7 battles to complete the war campaign and learn how the story ends. 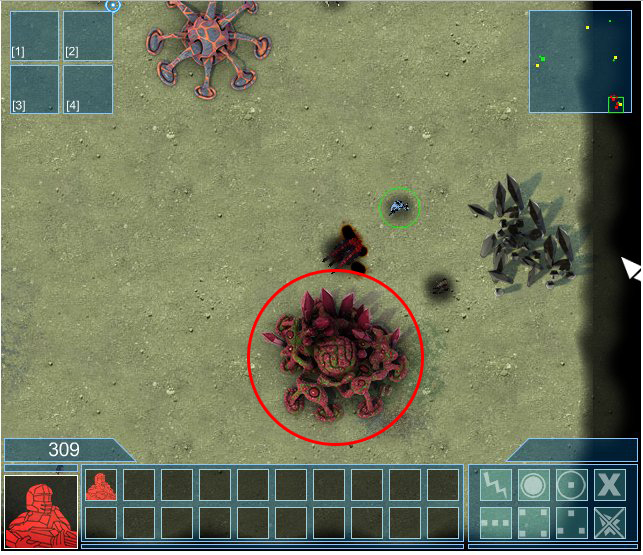 To win each battle you must destroy all enemy main biostructures before the enemy destroys your headquarters. 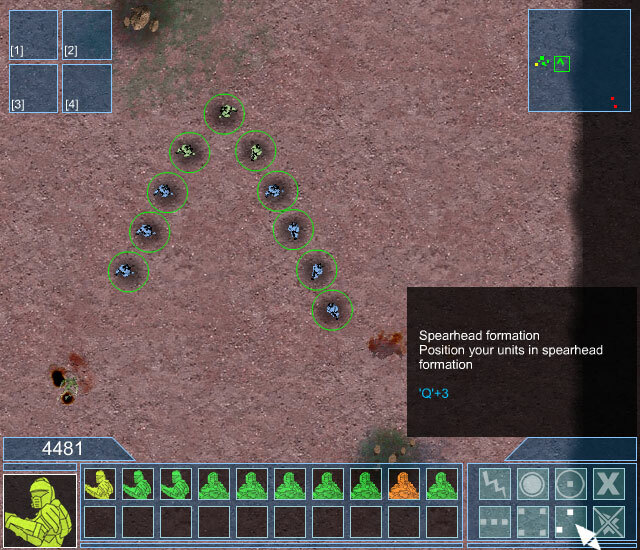 Click on the map (upper-right corner) to move the game camera directly to the selected place. Each unit, building and upgrade cost crystals. You can see the number of crystals you have on the left part of the screen. 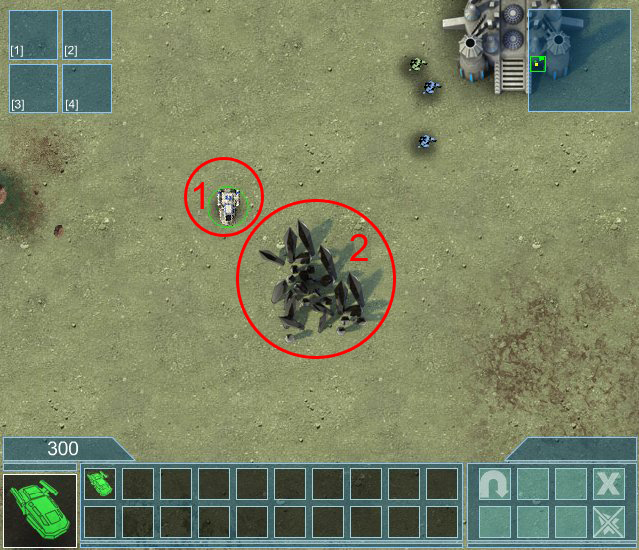 To gather crystals, select your mining unit (1) and then click on a crystal deposit(2). 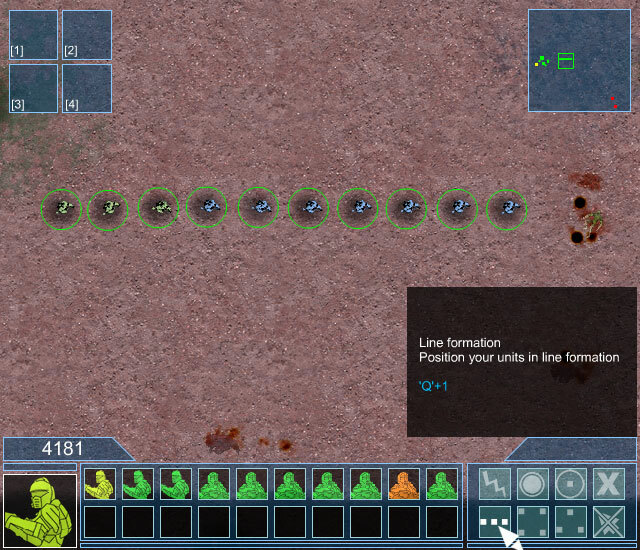 The mining unit will mine crystals, bring them back to the base and automatically go back to the deposit to mine more of them. BE CAREFUL! 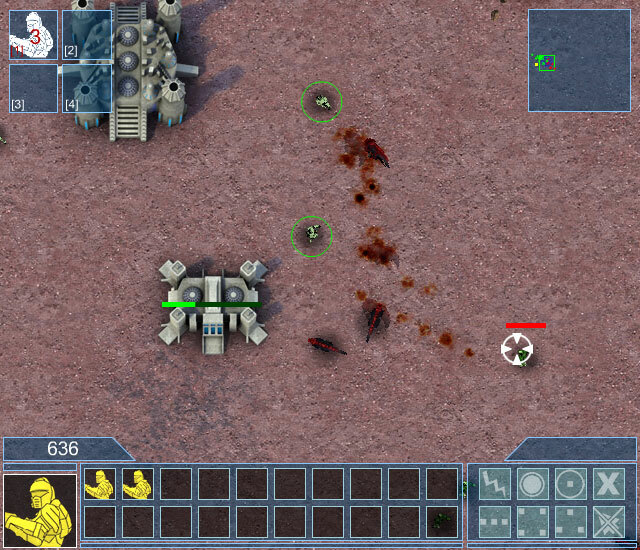 mining vehicles are unarmed, you must protect them! 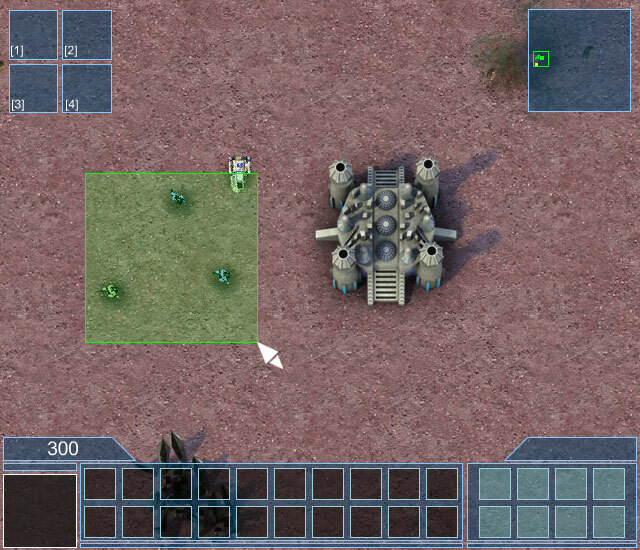 You can build more mining vehicles at your headquarters. 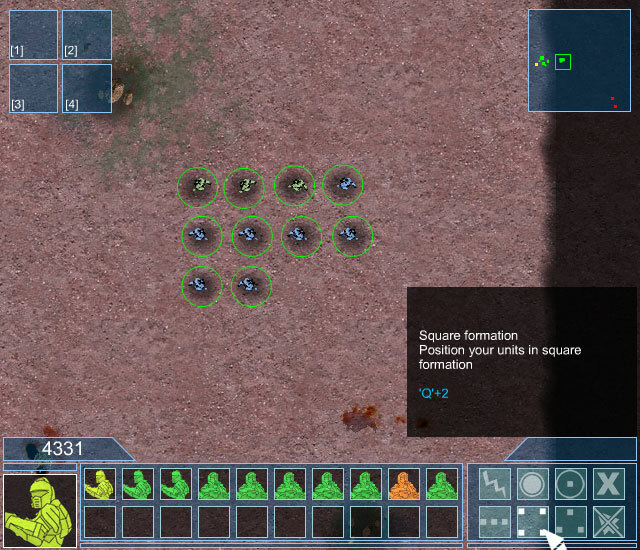 You can click on the minimap while holding shift to send your unit to that point in the map. The camera won’t move. 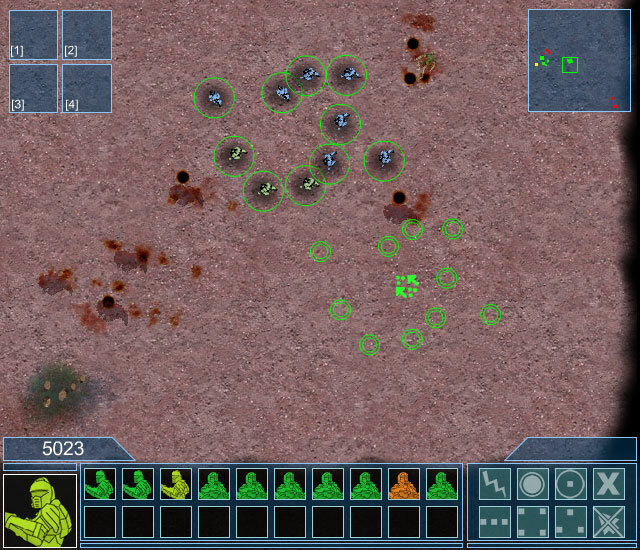 A red number in group slot (top-left corner) indicates the number of actual units composing the group. ‘B’ to activate passive behavior. The unit will only do what it’s ordered to do. ‘C’ to stop the unit. You can also use the buttons on the lower right part of the screen. 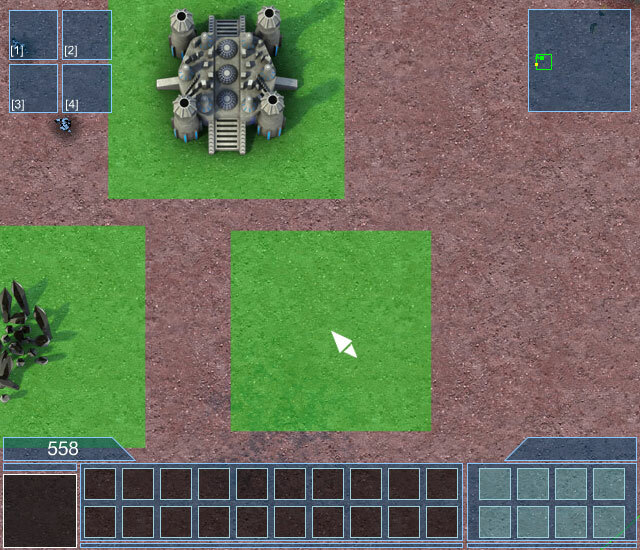 Mouse Click on a building to select it. The buttons on the lower right part of the screen will show you the building’s functions. If you hover the mouse pointer on a button a tooltip will give you its cost and description. Note that you’ll need to build primary buildings to access to advanced building options.